I'm back! And it's now officially 2017! I'm super grateful for my contributing writers. They held down the fort so mama could spend some time with the fam sans computer. Thank you, guys! 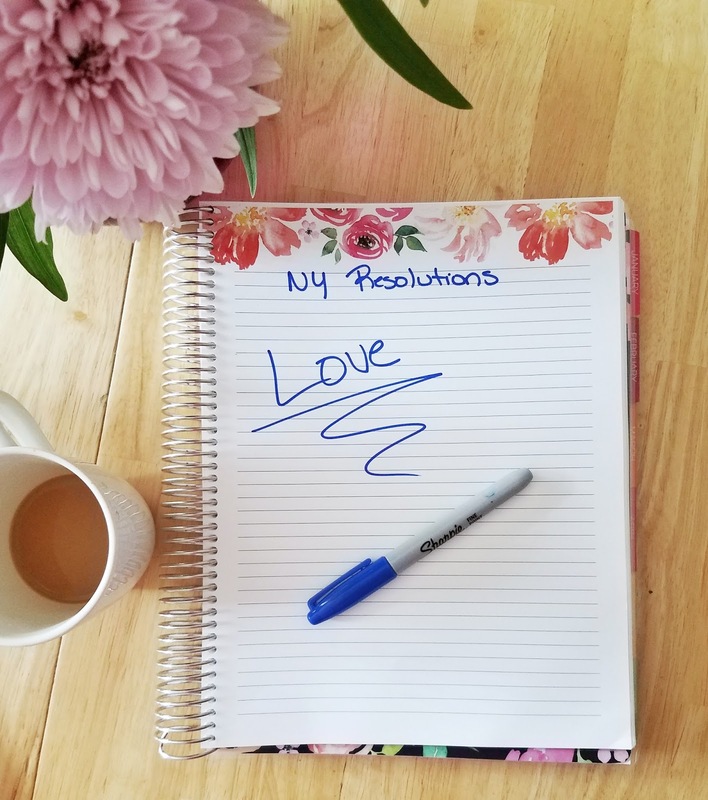 It's a new year and many of you are probably starting on your New Year's Resolutions, right? I've said in the past that I am not a huge NYR girl. Mainly because waiting to make a change that I really want to make...gives me anxiety. But I really love this resolution idea YouTuber Rachhloves talked about in one of her videos. The idea is to choose a word as the theme for the year. So, instead of having specific goals or a checklist of accomplishments to achieve, you choose a word to reflect back on when making a decision or struggling with a situation. Some examples Rachel comes up with are "focus," "breathe," and "try." I'm going with "love" this year. It may sound a little cheesy and maybe even unimaginative, but last year was such a hard year for so many with an abundance of sadness, conflict, and discourse. As a nation, 2016 was the year that some of our ugliest colors came to light. Keeping the theme of "love" in the back of our minds may help us put the best of ourselves forward. So, for me, 2017 will be themed around love. If I start feeling insecure about my body (does this ever go away?!)... choose to LOVE it. Love everything it has done - growing and birthing my son, allowing me to care for him, and giving me the ability to walk, jump, dance, and skip whenever I so desire. If I feel myself growing impatient with...really anything - a goal not being achieved fast enough, my son not following directions in the moment, a long line at Target - love the journey it takes to get to that goal, love and soak in all moments at this age because soon my son will be a "big kid," appreciate and love the fact that I can simply drive to Target and pick anything I need off of a shelf to purchase. Will I still lose my patients? Of course. Will I still feel angry and upset over things that five years from now I won't remember? Sure. But, maybe having a word to reflect on will help bring me back to the big picture when I'm having trouble seeing outside of my own present situation. I'm ready to give it a try! What word will you choose as the theme for 2017?